With a day full of demanding tasks, the technology to help you keep track should be simple. Using the ccToDo list the task lying ahead of you are clearly listed – in the course of the day or in the next few hours. The ‘Today’ page is your to do list. 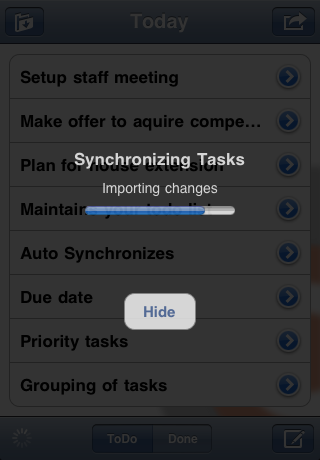 Check ’Done’ for tasks you have already performed, according to either time or date. 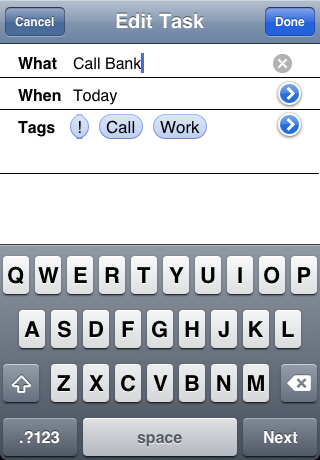 You can sort your tasks or split your day by adding your own tags to each task. For each task on your list, a collapsible menu offers six options that make it easy to plan and handle tasks. When a task has been performed, clicking ’Mark Done’ will clear it from today’s list. ‘Redate to Tomorrow’ or a date of your choice gets you a bit of space…or off the hook by using ‘Reassign’ to hand over the task to someone else. Add any extra info as a note. ’Edit’ as necessary or ‘Delete’ the job when it is no longer relevant. If you need an overview of future tasks, select either ‘Tomorrow’ or any other day, either by day of the week or the date. 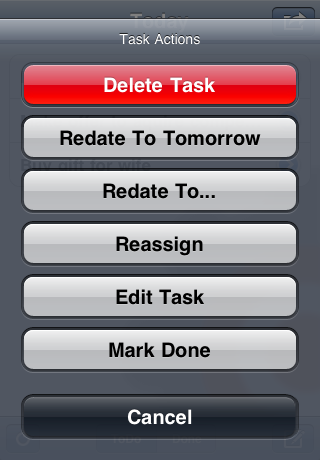 To create a task for yourself or someone else, click the ’New task’ button, name the task and add notes if needed. Assign it to someone else by writing their email address. By choosing ‘Tomorrow’ or a later date, you postpone the time when it appears in the receiver’s list. Do you have an email in your inbox that you want to have as a task in your ccToDo, then you can send or forward the email to your own or other people’s list, addressed as for example 11-jan@cctodo.com. 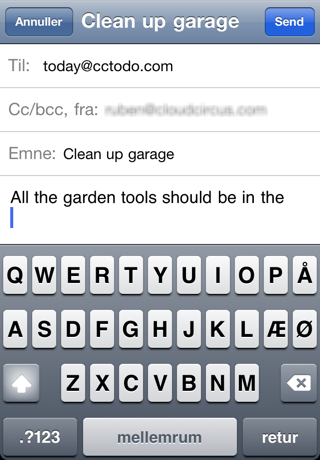 Just name the task in the subject field of the email (’Release new software’). The email text will appear as a note in the list. 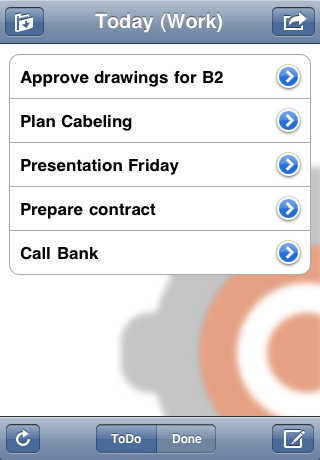 With a ’Connected’ service between your PC, mobile phone, and tablet all the information you have entered into the cctodo list is synchronized. This ensures that your list is always updated wherever you are. See ’Get Connected’ for details on fees.